Broccoli is becoming more popular with the American consumer, providing plenty of nutrients in the diet. But it isn't easy getting this cool-weather vegetable to your table. Broccoli producers face many factors that impede getting their crop to market—including unexpected temperature fluctuations and excessive heat. Heat stress while broccoli's florets are developing can reduce crop yield and quality, cutting into the crop's $800 million U.S. market value. Broccoli has been grown in Europe for centuries, but it has only been grown in the United States since the late 1800s, when it was probably introduced by Italian immigrants. Although California is the major producing state, broccoli is grown in nearly every other state, especially along the eastern seaboard. The likelihood of high-temperature stress occurring in a given location or season is the main factor limiting where and when the crop can be grown. Breeding heat-tolerant broccoli cultivars could extend the growing season, expand production areas, and increase resilience to fluctuating temperatures, but efforts to do this have been limited by a lack of knowledge about the genetics of heat tolerance. Agricultural Research Service (ARS) plant geneticist Mark Farnham and his team at the U.S. Vegetable Laboratory in Charleston, South Carolina, are filling in those knowledge gaps. They have developed and characterized genetic sources of heat tolerance in broccoli. These results were published in Theoretical and Applied Genetics in March 2017. The team evaluated a group of broccoli plants that Farnham developed for the ability to tolerate high-temperature stress during summer. "We identified genetic markers associated with resistance to heat damage in these plants," says Farnham. "An important finding of this work is that the resistance trait is a complex trait controlled by many genes, which makes it a bit harder to work with. 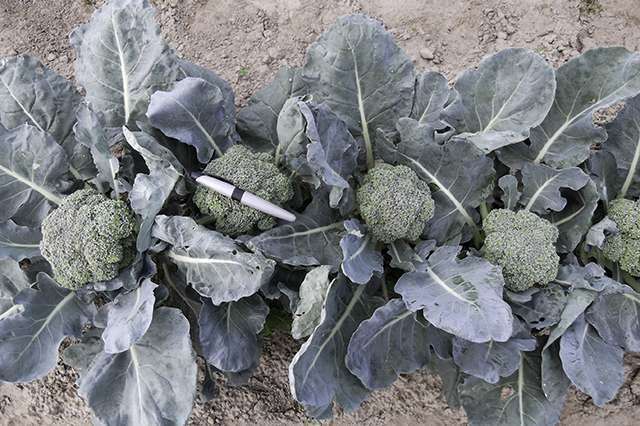 However, these markers are of great interest to public and private broccoli breeders, who can use some additional tools in their work to accelerate the development of heat-tolerant broccoli cultivars." 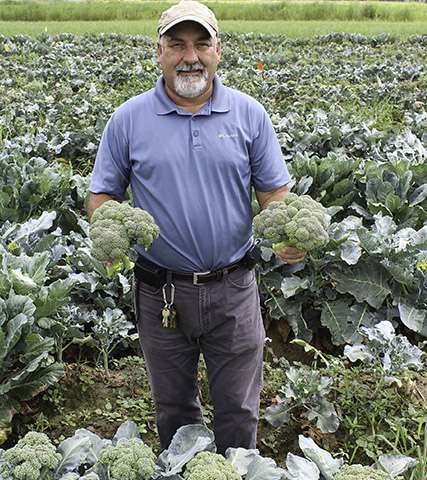 To determine how well Farnham's heat-tolerant broccoli will do in different stress environments, he is working with scientists at land-grant universities on the eastern seaboard that are growing his broccoli in warm-temperature field trials. Once they verify that his broccoli will do well under adverse conditions in different locations, it will be made available for research purposes or for use by commercial seed companies and breeders. The heat-tolerant broccoli could help expand future growing possibilities significantly, helping to meet the demand for the nutritious vegetable. Total U.S. annual broccoli consumption (fresh and frozen) grew from about 1 pound per person in the 1960s to about 8 to 9 pounds per person today. One cup of broccoli provides more than 100 percent of our daily requirement for vitamins C and K and is a good source of fiber, vitamin A, folate, and potassium.